Up until now, barring top security vendors like McAfee, Kaspersky, and Norton, almost all other antivirus companies were offering a free, cut-down version of their antivirus software for Windows operating system. Today, McAfee has released the first beta version of McAfee Free Antivirus software and is available for download now. 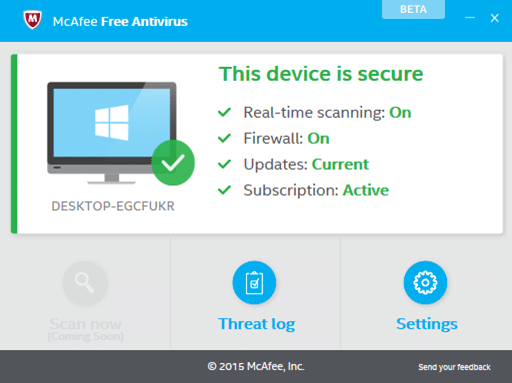 The free version of McAfee Antivirus offers real-time protection against online threats. The currently available Beta version doesn’t include much option. You can turn off real-time scanning and access protection under settings. Since this is the initial version of the software, it doesn’t offer an option for manual scan. Step 1: Visit this page and click Try now button to download the web setup file of McAfee Free Antivirus. Step 4: Click on the McAfee Free Antivirus icon in the system tray to see the mail window of the software. 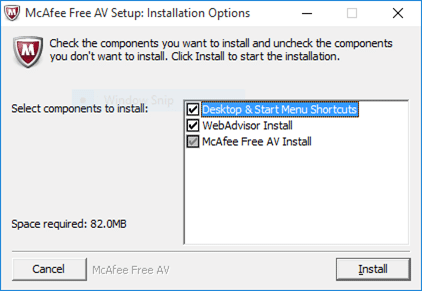 According to the minimum system requirements page of McAfee Free Antivirus, the current version of the free antivirus from Intel Security supports PCs running Windows 7 and Windows 8.1, both 32-bit and 64-bit. In addition to Windows 10, the current version of McAfee free antivirus supports Windows 7 and Windows 8/8.1 as well. The antivirus works great on Windows 10 64-bit too! I do no have a cellphone – renewal insists on giving a number. What to do? I have been using MAcfee for long it has proved effective. Raked money, but the antivirus is not installed. Where is your vaunted technical support? Acting like bad people. i can’t install McAfee Antivirus on my Window 10 laptop…..Why?…are McAfee Antivirus not compatible with Window 10? Trouble is the pay for version of McAfee isn’t very good (PCPro magazine tests) and lets far too much past its defences. Presumably the free one will be even poorer.